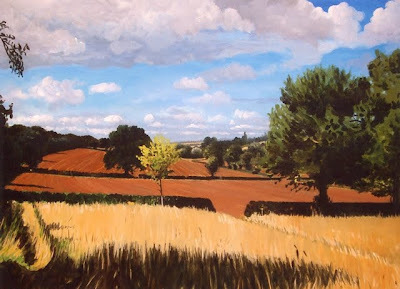 I paint mostly in acrylics, as I particularly enjoy their versatility. Most of my pictures are an attempt to reflect some of the beauty of the natural world. Composition and colour are very important to me, and I endeavour to create a sense of depth to try to lead the viewer into the scene - hopefully they might even momentarily lose themself in it!